I am joining the Really Reasonable Ribbon DT Members for the October Blog Hop. 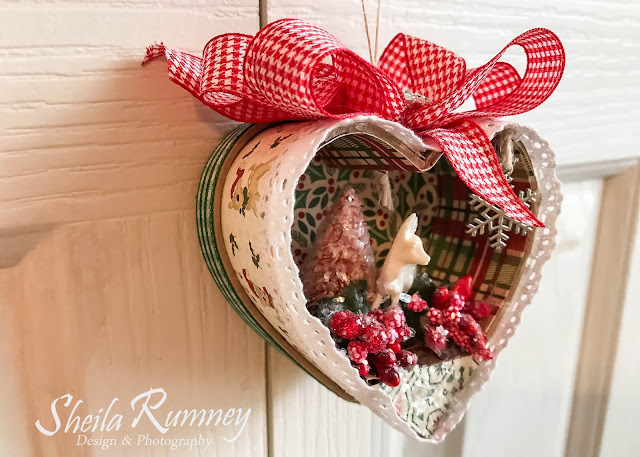 If you are ready for to start creating for Christmas, you are going to love the Monthly Ribbon Club Assortment this month! 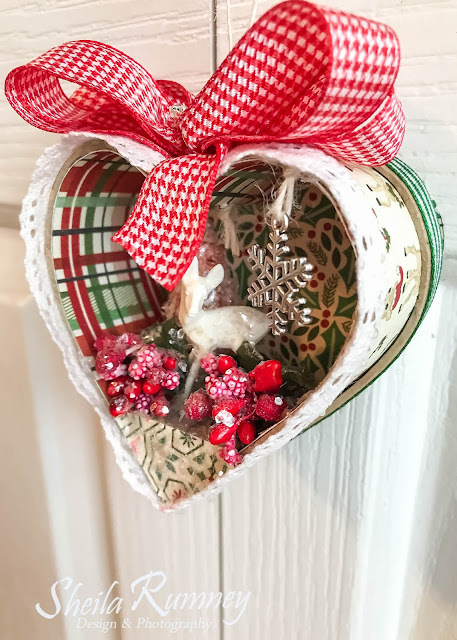 I created this sweet Christmas ornament using the beautiful ribbons from this month's ribbon assortment. I added the Bling Metal Rhinestone Buckle to the top of the bow. 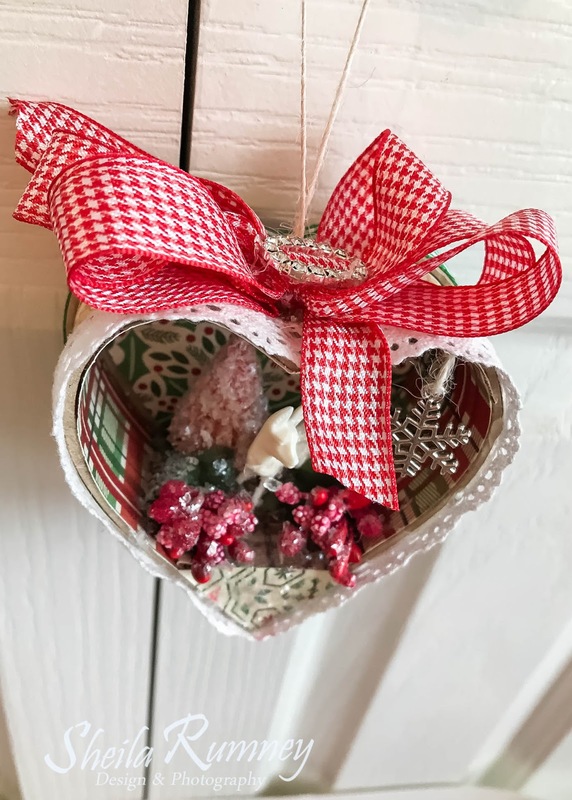 I trimmed the heart ornament with the lace and green ribbon from the assortment. Next I had so much fun filling the heart with the winter scene using the Red Bead Berry Spray and hung the Silver Snowflake Charm with the Ivory Burlap String. Would you like more holiday creative inspiration? Check at the other fabulous DT Members projects on the Really Reasonable Ribbon Blog. Another amazing handmade Christmas ornament Sheila. Your tree must me amazing. I hope you'll share a picture of your decorated tree when the time comes. This ornament is so cute! Love the heart shape you've chosen. Well done! This is really darling Shiela!!! What an adorable little Christmas scene that you have created. So sweet. Beautiful ornament! I love the sweet winter scene you created! How adorable - I love this ornament! You put a lot of work into this beauty - thanks for sharing Merry Christmas! What an adorable ornament. I love the heart shape. Such a sweet heart shaped ornament. What a pretty little ornament love the red ribbon and the adorable scene inside! Put it on your tree or make a few and give as gifts to be treasured for many years to come tfs. This is lovely! What a great idea for making ornaments. The bow topper is perfect!